Over the past few weeks I've been working my way through a book called "Motivate Your Child". I have to admit, it's been an interesting read and has lead to many good discussions with my son. It has also led to me making some changes in our life. Giving me some guidance into ways I can further strengthen my lad in his walk with the Lord God. Helping him hopefully to turn into a man able to stand against the standards of the world and confident in his ability to stand for himself and for God. Allow me a moment to walk you through the chapters in this book. The book is divided into two sections. Each part is further sub-divided. Part One: Moral Development in Children. 3. What is the conscience? 4. Helping kids choose to do what's right. 5. When kids make mistakes. 6. Learning to value integrity. 10. Putting the conscience to work outside the home. 8. Children and the Holy Spirit. 9. Connecting children to the bible. 11. Will you take the Family Challenge? As you can see it's a step by step process throughout the book. Leading you from one thought to the next with the whole goal of helping children internalize the reasons why they should live a life in accordance to the will of God. It's hard work leading children to understand why they should live a certain way and Dr.Scot Turansky and Joanne Miller want very much to give parents tools in the training and the educating of children into understanding internally why they should live as they should. That instead of mom or dad saying "live this way because I say so" it becomes a "I live this way because I know it to be the right thing to do". Don't we all as parents want to learn to parent our children's hearts? So how am I learning to parent my son's heart? 1. My father has recently passed away and I have become acutely aware of how his method of helping to raise me affected me. And I see myself doing the same with my son and this book has given me a heads up on how to change some of that. :) This is a good thing. I want to provide more of a balance and now I have some of thoughts in my head as to how to better achieve that. :) Balancing those quick flairs of temper with better conversation and completely separate occasions of speaking words of truth into his life of the positive things I see him and what I thoroughly enjoy with him. The result is already apparent as my boy is learning to talk more openly to me about what he is thinking and WHY he is thinking it. 2. Through this book I have been given some additional insight into how to help my boy to learn how to do more things on his own. :) To that end I am giving my boy the directive that every day he needs to find something ON HIS OWN in an effort to be a helpful member of this household. And you know what amazes me? My lad has stepped up! He's been sweeping floors, helping with shoveling snow, feeding bunnies, tidying tables, and more. It's so lovely to see him step up to the plate like this. 3. I spend time talking with my boy about some of the things I read in this book. I read him some of the scenarios contained within and ask him what he would do. He gives me his ideas and then I tell him what other children did and sometimes he is just so shocked. So we talk about why that is and how everyone has issues they struggle with and how they need to learn how to listen to God about how to deal with those issues. Do I think you should take advantage of the current offer? Get $150 worth of free stuff if you buy the book before the end of January? Do I think it matters if you get the freebies or not? Not really. :) I think this book is worth getting as it gives parents reason to think about how they are raising their children and WHY. It helps parents consider more than the external actions but about the hearts of their children and influencing them full well for the kingdom of God. Motivate Your Child can be found on Amazon, $12.45 for a printed book and $9.78 for Kindle. And, if you purchase a book before January 31, 2015, you can email your receipt to gift@biblicalparenting.org and receive $150 in FREE parenting resources from the National Center for Biblical Parenting! The geese need to avoid the forest of Tadoba...Babbar is around. Watch out! What will the geese do? I know.. Land and help celebrate the indian Festival of Kojagiri. This is a yearly festival in India where people "stay up late. They laugh, and have a jolly time." And that my dear readers is where the story changes. An unlikely friendship begins, and life in the forest and the animals (and birds) that surround it are forever changed. My son giggled at times as I read the book to him. He could just see the donkey falling over himself. He could well imagine Babbar trying to make funny donkey noises. He giggled. I smiled. My ONLY concern is the paper quality used in the book. I had a hard time turning the pages. Even after I flipped through the book a bit that pages still wanted to stick together. Excellent book to use as the start of a series on friendship or on India as real places and festivals are part of the book. As you can see from the images below, the book is nicely illustrated. The chipmunks made my son giggle. The print size is great for early readers and the images just add interest to the story. Do you like books that encourage your children to ask questions? I know it's one of my fondest things, I find it to be very encouraging in my reading with my boy. And in Nzingha Warrior Queen of the Matamba, I received such encouragement. I had questions from "Why would keeping a leopard cub in the village be dangerous?" "How could they tell from how the drums played what the Ngola was doing?" "That was a smart trick they played wasn't it mom, when that man pretended to be bad!" This book taught us the history of Nzingha, Warrior Queen of the Matamba. It was great to learn about this fierce young lady who became a leader of her people back in the late 16th century. In this story we saw her learn important lessons about who to trust, how to conduct business as equals, and much more. It was quite an interesting read even as I stumbled over variety of names. We got a bit of the history of the battle between the Portuguese and the native people and the absolute horror of the slave trade to Brazil. "Mom, how could they be so mean to people? Why would they make them work until they died mom?" Nzingha was a fierce opponent of slavery and worked against it at every opportunity, brokering various peace treaties that did not include the gifting of slaves within them. An excellent book to read to learn a touch of history about 16th century Africa. At the end of the boo we learn the rest of the story, with pictures and maps to bring it all to life for young readers. So, life is different now. Dad has passed on to glory. We have seen our community reach out and love up on us. My mom was so surprised at all the people that our lives have touched. All the people that came out...from my brothers church, from my parent's previous and current churches, from the community around mom, the staff from the nursing home, friends from my homeschool group and church, from my sister's church and it totally blew her away. And that is good you know. She felt loved. My mom will talk to and befriend most anyone and it showed. The service for Dad yesterday went quite nicely. There was much family participation in the service. Pastor Ralph preached an appropriate sermon reminding people of just how important God is and how he calls us to be HIS people and in that calling changes us to be his family. Oh I almost forgot. A friend of my parents writes poems. And she has this poem that she wrote for my mom upon my father's passing away. It's entitle The Warrior. HIS GENTLE, LOVING PRESENCE WILL CAUSE YOUR TEARS TO CEASE. BUT IN THE MIDST OF SORROW HIS COMFORT IS STILL NEAR. AND THOUGH LIFE NOW SEEMS EMPTY, GOD WILL TAKE CARE OF YOU. WHILE EARTH HAS LOST A WARRIOR ,HE'LL TREAD THE GOLDEN STREET. HIS PRESENCE MAY BE ABSENT BUT HIS SPIRIT LINGERS NEAR. lovingly dedicated to Wilma in memory of her beloved Bill . Wasn't that a lovely gift of Love to my mom? Let Me Talk About My Dad. Yesterday was a long day. We had visitation for my father who recently passed away after a long battle with bad hip surgery, infection and Parkinson's disease. My dad was a man "with a lot of life in him" one of the men said as they came by to offer condolences... as I found out for the first time that he used to help up TV aerials when he was a boy first moved to Canada. He and his brother Walter needed work to do so their neighbour said, this work you can do boys, and so they did. I cannot say that my Dad and I had the easiest relationship. Opinionated, with strong thoughts and not always the easiest manners of expressing them...we are just too much alike for that . :) So talking face to face was not always the easiest thing to do. I discovered last night that I had better phone conversations with him than the rest of my family did. :) We never had LONG conversations, but we talked best over the phone. And it was good. So much of who I am has been shaped by my father. The willingness to work, to save a dollar, to read, to think, to care for critters, to love God. These are the things my father leaves behind in me. Just as God molds his children, so my father helped to mold me. Through him I learned a deep love of animals and of the land and working with what you have. (and so I hope to pass that along to my lad). Through him I learned a love of singing. (unfortunately I don't have his fine singing voice though). But singing... ah.. that gets me through hard times in life. My dad loved my mother. Do you know what a blessing that is? To have parents who are deeply committed to each other? There's was no temporary love. It wasn't always easy, but their love was strong for each other. Dad would do anything for my mom if he thought it was please her. I see that in my hubby you know... that desire to please, and strengthen and support. And it makes me realize what a treasure my father was for my mother and how DIFFICULT it will be for my mom in the next couple of months. To not have him there to talk things over with. And I wish I could make it better for her, but I can't. I think I will ever remember this picture of Mom with Dad. Talking together even to the very end. It's a good example you know... of what to strive for in a marriage. To make it good and lasting. To respect each other and love them through word, action and attitude. Today the sermon text will be a on a passage of scripture important to both Dad and me. 1 Peter 2:9-10. "But you are a chosen race, a royal priesthood, a holy nation, a people for his own possession, that you may proclaim the excellencies of him who called you out of darkness into his marvelous light. Once you were not a people, but now you are God's people; once you had no received mercy, but now you have received mercy." Isn't it marvelous? Those verses speak to who we are in the eyes of God and it is GOOD! Knowing that Dad and I love the same bible verses... is a comfort and a hope to me. Dad... you will be missed. I will see you again. The Ultimate DIY bundle sale. Save Big! Hey all, have you checked out what is in this bundle? It's amazing. The sheer amount of learning you can do for yourself and/or your children. AND for such a great price! Today's bible verses to learn over the course of the coming week is Genesis 11:5-7. I have added that on each page we are now adding images to help us remember what the verses are in order to help us remember them. The lad asked me to write this verse out as his handwriting was too big to fit it onto one page. I have to admit, the lad had fun with this lesson. It was fun pretending to speak different languages and trying to understand each other. I even spoke some dutch to him (the little I remember) and he was like HUH? But then he asked an insightful question. "Mom, do you think God would have broken families up?" "What would the children do then?" So we talked about that for a moment. Considering the nature of God. Would God want little children to suffer - especially if what his goal was here? God's goal was to stop the people from thinking they were too important. The confusion of language was ultimately to break the people up. Granted, we can't know for sure so we can't put that into the story, but it is good to consider the very nature of God. We completed the Sunday school lesson by answering these questions. But the lesson wouldn't be complete by answering some questions from the lad. 1. Is this story real? Did Babel really exist? To that end we found this article from Creation Concepts. The﻿ ruins have been found﻿. We learned that archaeologists are ﻿examining those ruin﻿s. 2. Can we see a video about it mom? I said sure so we watched a video on YouTube about it. You may wish to turn the volume off. 3. Could mud and straw hold people up mom? We hope in the spring to see if we can make some bricks using mud and straw. We have a hard time imagining how something made of mud and bricks cold be strong enough for people to walk on as they built this tower. 4. I asked my son... What do you think it means that God said "Let US go down"? He written his forehead and said "I kinda know but I don't know how to say it". So we talked about how God is three persons in one and how it's hard thing to really understand. But that this points to how God the Father, God the Spirit and God as Christ are one unit as this talks about God being an "us". Anyways, that was our lesson for this past Friday that we'll be ruminating on over the course of this week. Five minutes of a Friday. Hosted byKate. 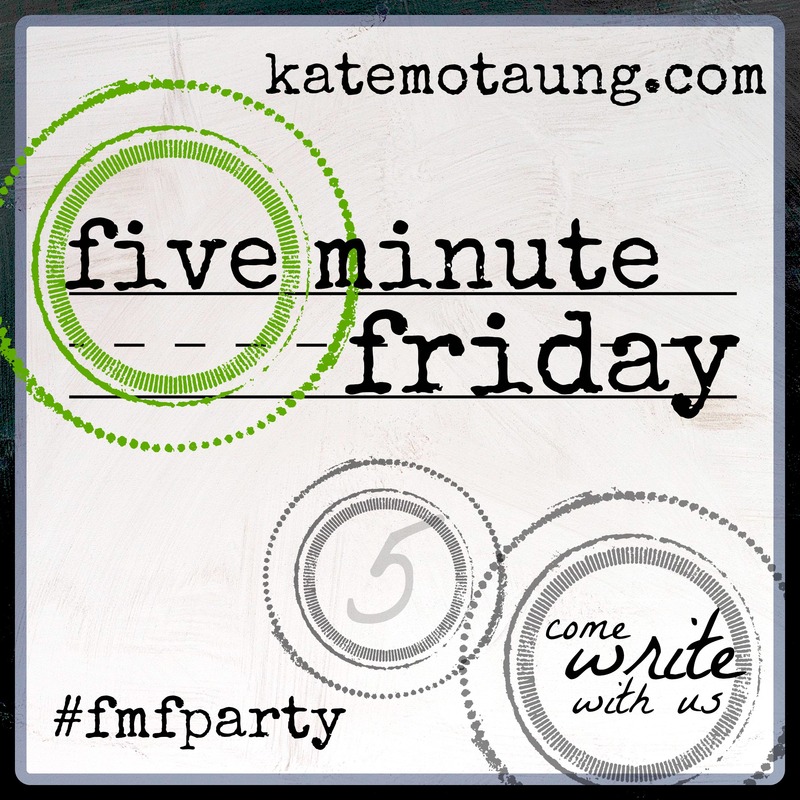 Write for five minutes - just writing not worrying on perfection just write. :). Link up. Encourage the person ahead of you. Easy, Challenging, fun. This week the word is Send. "Are you not sent to the lost, the lonely, the hurt and the poor?" What do think of when you hear the word send? I think of the word send and I think of my dad and how soon enough we'll be sending him on to Glory. I think of how he sent me along the way when I spent the summer in Haiti doing a summer mission project. Must have been hard for my folks to let me go away for a while... but sent me along none the less. Sending implies a going. It's a traveling to another place. It's arriving and doing what you were sent to do. Some people are sent places, some folks are sent to a people, others are sent to get them out of a bad situation. But to be sent means one must GO. You can't have one without the other. To be sent you must be willing to go.